Ogilvie Dental in Ottawa offers both full and partial dentures to patients needing to replace missing teeth. 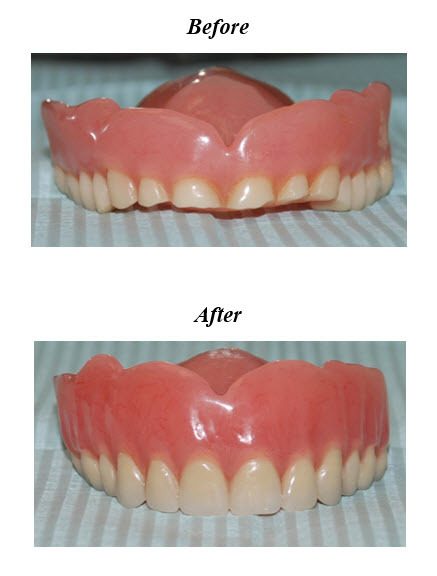 A denture is a removeable dental prosthetic that replaces missing teeth. Dentures are designed to closely resemble your natural teeth, and help to improve chewing and speech. Full Dentures: Full dentures are made to replace all of your teeth on the top and/or bottom section of your mouth. Full dentures can also be done in conjunction with dental implants, which help to anchor the new dentures comfortably and securely in the mouth. Partial Dentures: Partial dentures are used when some natural teeth remain. They fill in missing teeth with natural-looking replacements and prevent other teeth from shifting. At Ogilvie Dental, we offer an Immediate Denture service, so that patients do not have to be without teeth for any length of time during the process. With Immediate Dentures, we create the new denture in advance using a highly-accurate impression (mold) of the patient’s teeth and gums. 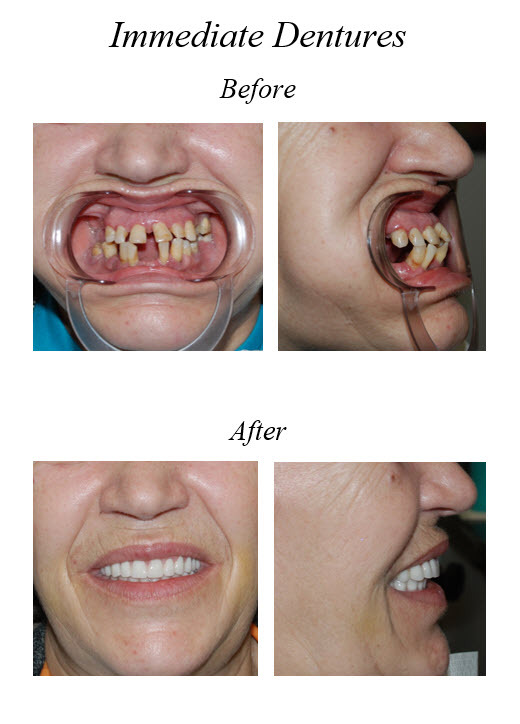 Then, at the next appointment, the dentures are immediately placed after teeth removal. This service is available when tooth extractions are necessary in cases where teeth are beyond repair. If you have questions or would like to talk with us about your denture options, please contact us today.